March, where have you gone? How fast you came and fast you have gone away. Can you believe that the month is over? One-third of the year is already gone. My, it seems that my life is slipping by so quickly. Lord, let me cherish each and every day...each moment, let me see your fingerprints. 1. I am thankful for the beautiful cool mornings that we have had. Just enough to make my morning exercise time perfect! 2. I am thankful for Caleb this morning. It is difficult to raise a child with a handicapped, but I rejoice this morning that God has something for him and for me. Lord, let me be patient and understand him more each day. I thank you for bringing him in our home. 3. Thank you God for provision...you set it up before we even need it...Matthew 6. 4. I am thankful for a sweet, dear husband. He is the most awesome man, father, love of my life. 5. I am thankful for funny faces, belly laughs and random statements from my kids. This is the first time that I am doing Embrace the Camera. 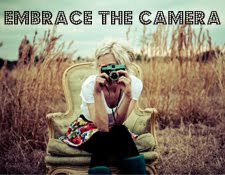 Head over to one of my favorite blogs...www.andersonfamilycrew.blogspot.com...and check out her Embrace the Camera day. Her goal is to have a day where you just post pictures of YOU and your kids or anyone special in your life. I have found we have had whole days, outings, vacations where I don't appear in any pictures...so sad right? One day my kids will look back and wonder where I am...haha, behind the camera. Well, that's not good enough. So, here I am. Embracing the camera with my favorite people in the world. After church on Sunday, Esther wanted to take a picture of all of us. This is an impromptu picture. I love these people. After I wanted to snap a picture of one of my favorite people...my boy William. So sweet. I love this little man...toothless and all. Thanks Emily, for continuing with the Embrace the Camera. I finally did it! When you talk about pasta, you have to be singing "Italian" songs, right? Haha. 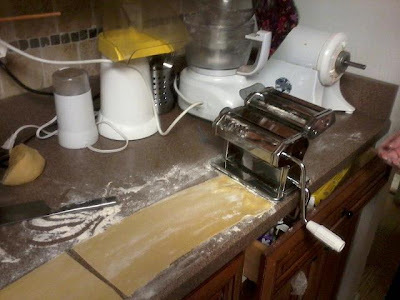 The other night we were in an Italian mood and tried out our new pasta maker. In our quest to change all of our food habits, and to dump all processed foods out of our diet we bought this handy dandy pasta maker. 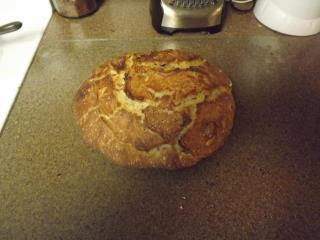 Made with whole grain, and fresh eggs Matt rolled this out the other night. And after rolling it out, he pushed this through the spaghetti maker. Here it is hanging and getting ready to be put in the steaming pot beside it. I must admit that the spaghetti was fantastic. He made a thicker "fettuccine" style pasta and the thinner spaghetti style. We put some sauce on it and the kids plowed in. It didn't last very long here at the Reynolds Nation. They loved it and we were quite proud. A little change goes a long way...it has been awesome taking this journey to have a dynamic life that God planned out for us!!! Viola! I took this picture yesterday. I hit 38 pounds lost that morning. Feeling fantastic!!! Hehehe...lost another pound this morning, make that 39 pounds. WooHooooooo! I have been missing for a few days..so sorry, but I have been enjoying Spring Break with my kids. And how lovely it has been. Of course, the weather has been absolutely beautiful. Breathtaking. Not too hot, no humidity, but warm enough to enjoy the pool and the beach. My kids have their first "color" of the year...we went swimming at my friend's pool twice and we hit the beach on Friday. 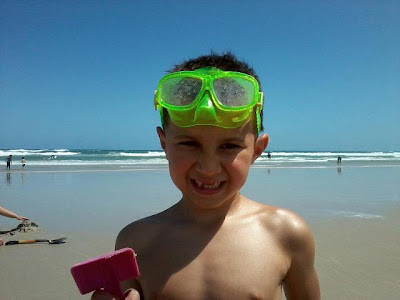 I don't usually go to the beach this early, but the weather was so perfect and the kids love it so much. Now, let me remind you, my foot never touched the water. The water is way too cold for this Mama. I just sat at the edge of the water and watched my kids play and dig in the sand. I refuse to get in the water until I actually sweat. Then I know it's a refreshing break to jump in the water. But I was just as happy to sit and watch the kids. Last night we went rollerskating at our local rink. 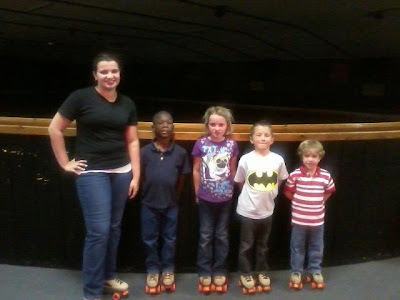 It was $2 Tuesdays, so it was the perfect opportunity to head out and skate with the kids. The last time we went (last June) Esther broke her wrist, so she wasn't too keen to go out again. But memories (and pain) do fade away and she was willing to give it an another try. Now when I was little, skating was the "in" thing to do. Everyone skated all the time, you had your parties there...come on you mid-thirty readers...you remember. Everyone skated...it was hip. Out there skating with feathers in your hair and leg warmers over your jeans. Wow, small flashback to the eighties. I loved to skate and learned when I was five. It was a weekend of great times....and lots of cooking. 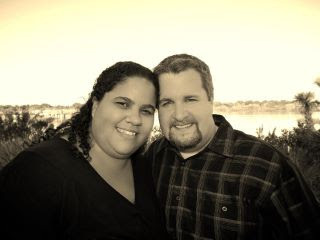 My husband over at www.changenowordie.blogspot.com reached his first weight loss goal of 50 pounds. And his reward for that was a new bike. So, while he was biking Saturday morning, I took advantage of the quiet house (the kids were outside enjoying the great weather) and I took some time to cook. The fresh loaf of sourdough above was actually made this morning, but started last night. It was my first attempt at sourdough, and it smells like a slice of heaven. My kids are begging me to slice it up...at first they thought I was making pizza...so I can't wait to taste it. Not the best picture...but here we all are after we finished. We picked almost two boxes worth of strawberries. One box has already been separated and frozen, ready for smoothies when strawberries are no longer in season. The other box we will be for juicing this week...yummy! 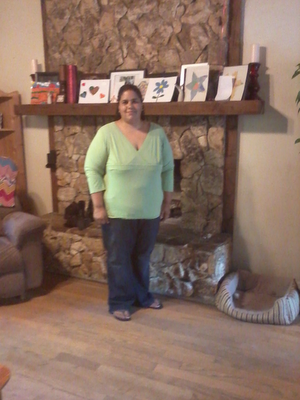 My fantastic husband...looking great after he hit his first weight loss goal-50 pounds. The girls...with the funniest looks on their faces. I am not sure if they liked the picking as much as the boys. Caleb starting with his new box...he had a good time picking the strawberries. Good morning Friday!!! And the best part of this Friday is that its the beginning of our spring break. No school! No school! I love it. I am so excited. I always need this mental break about this time of year..before we gear up for the last part of school. I always feel a bit weary now...is the end of the tunnel near? So this week usually gives me a boost to make it to the end of May. We don't have anything important planned...which is just the way I like it.1. 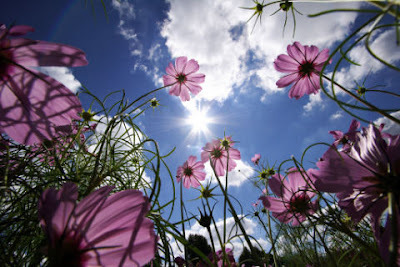 I am grateful for the beautiful weather we are having. Cool, crisp mornings and breezy, warm days. I love this time of the year. 2. I am grateful for spring break...my brain needs a break. 3. I am grateful for quiet mornings...when the house is dark and quiet. 4. I am grateful for crisp gala apples...one of my favorite snacks. 5. I am grateful for my ever changing life that God is steering and guiding. Read this and give...a small amount will go a long way with this family. 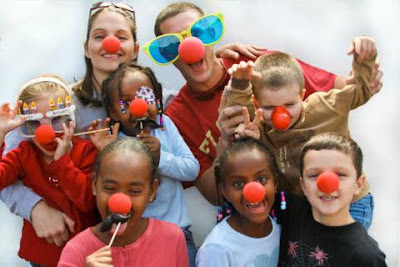 $7 for our 7th For Heaven Sent Seven- A Charity Projecthttp://www.acharityproject.com/Our ever expanding family will soon grow by one more as we prepare to welcome our seventh child-a baby boy-home from Ethiopia. Our weekends at the Reynolds Nation are very special. The only time we aren't running around...no swim team, or speech therapy...or school. William calls them our Free Days. I love that. So here are a few pictures that captures the weekend. Caleb and Esther stopped for a moment for me on Friday night. The three of us went out for several hours shopping. My younger boys were with Nana for the night, Bryn was at youth group with Matt, and we went shopping. William and Judah HATE to shop...and since Caleb doesn't mind and of course Esther loves to shop, I took the opportunity and ran with it. We had a great time and we were out late...overall it was a fun evening. We were able to get an Easter outfit for Esther and I finished up the boys outfits too...ahead of the game a bit. Playing computer on the couch and Judah is reading a book. This is something we do a lot around here. Good, plain fun. It was inevitable to happen. The days have gone by so fast. She was just a baby in our arms yesterday, and now she is driving us around town. Well, not exactly us. I haven't driven with her yet. Matt says to give her some time. I think this is one thing that I should not be responsible to teach her. I could see the battle in the car now. So, Matt is teaching her to drive. That's a good thing. 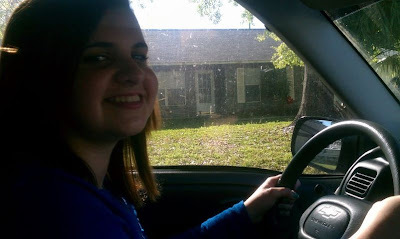 Yesterday she was able to get her permit. She finished her driver's Ed class just in time...she had it all planned out. To be finished just days before her birthday...and then she took the exam (online, times have changed) on her actual birthday...and then yesterday she was off to get the actual license. Happy Birthday...Happy Birthday...Happy Birthday...dear Bryn. Fifteen years old today. Where has the time gone? Seems like just yesterday she was two and watching Barney on the floor in the living room. And now today, she is studying for her drivers test. Crazy, huh? Makes me feel old...yeah, not really. I feel good to be a mom of a fifteen year old. 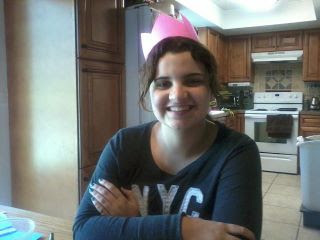 So, before the night falls...I want to wish my Bryn Elisabeth a Happy Birthday and many, many more.